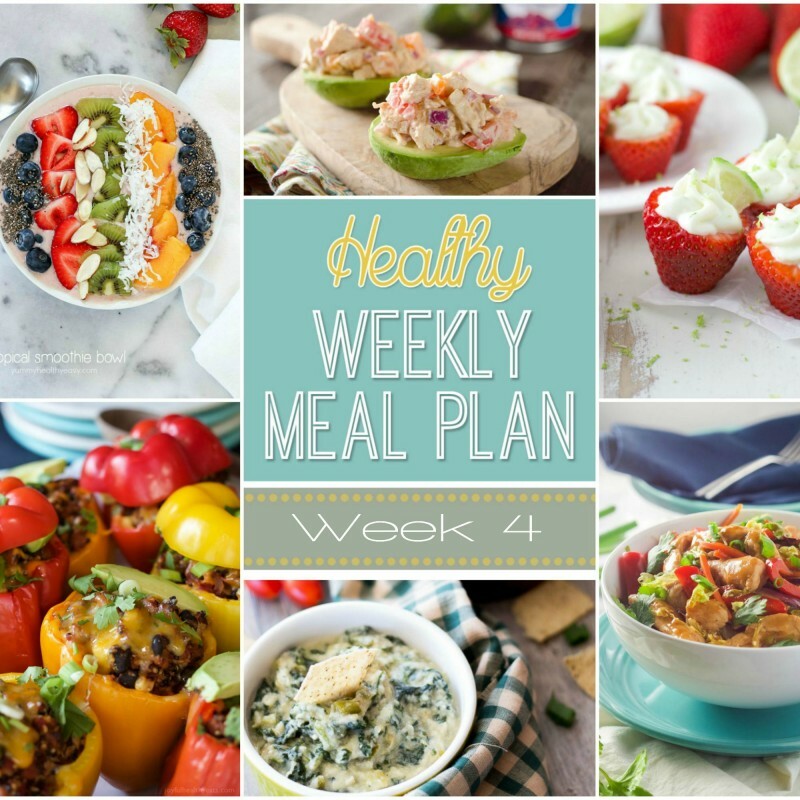 Welcome to the fourth week of our Healthy Meal Plans! Do you have a hard time deciding what to feed your hungry crowd? I know sometimes it is the last thing on my mind. It is so easy to run through a drive-through or order a pizza at the end of a long day, but healthy meal planning doesn’t have to be hard! We have done all the work for you! 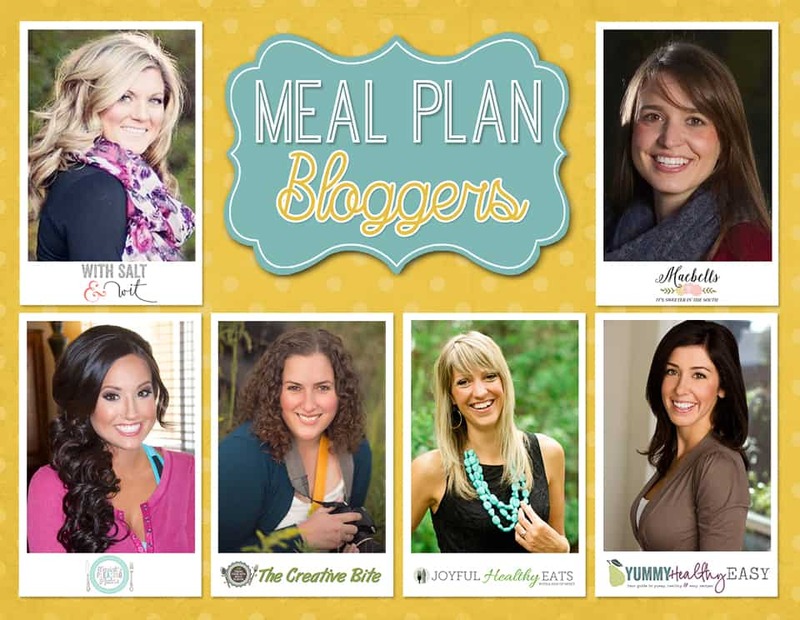 I have teamed up with five of my favorite bloggers to bring you a weeks worth of totally delicious healthy meals! This week we have a wide range of delicious dinners. Some with Tex-Mex flair, comfort food, easy seafood, and sweet and spicy Asian dishes! 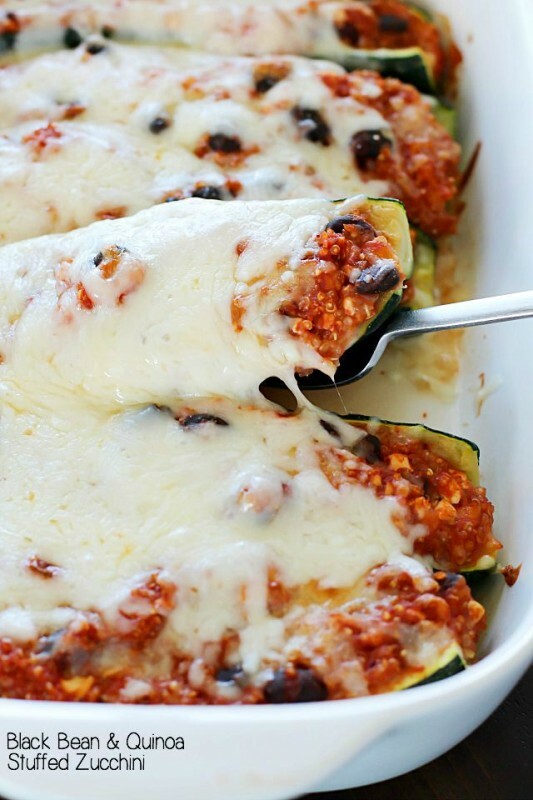 This Black Bean and Quinoa Stuffed Zucchini is a meatless dinner packed with protein and vegetables! You will love how easy this comes together. For a fun twist on Taco Tuesday! 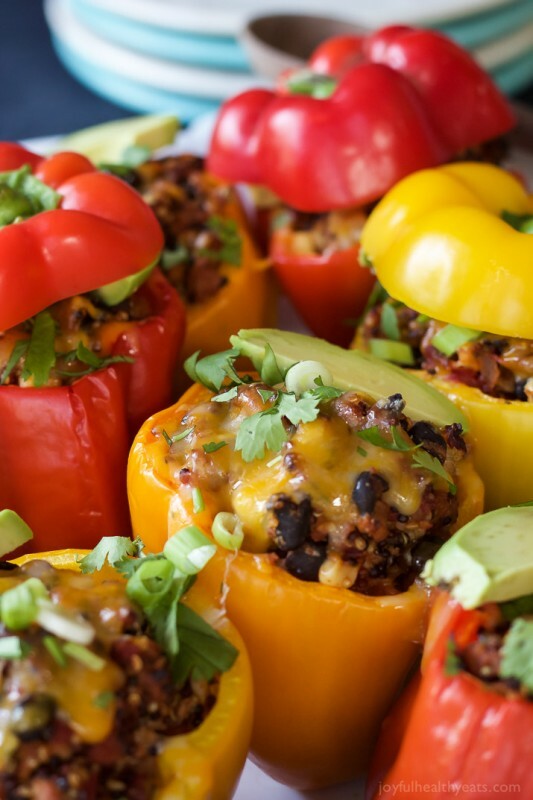 Ditch the shells and try these loaded Southwestern Turkey Quinoa Stuffed Peppers. You won’t believe how many healthy ingredients are packed in this meal. Have you ever tried Asian food at home? It is easier than you think! 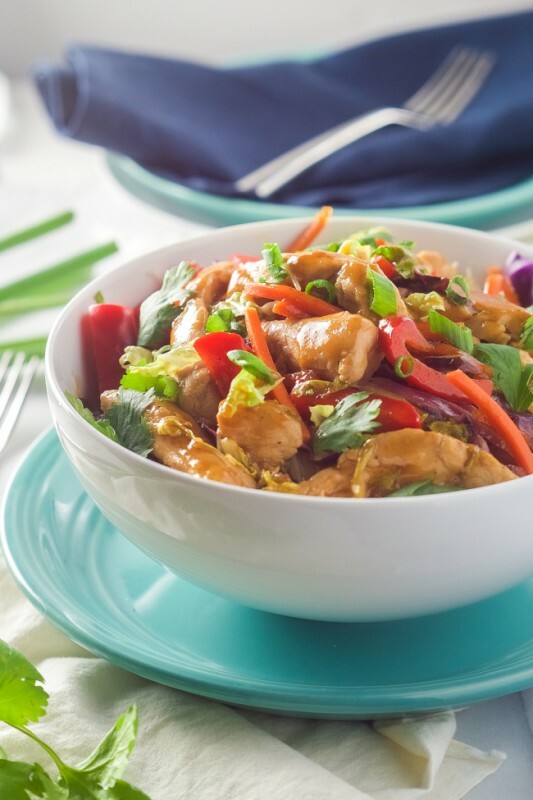 These Honey Sriracha Chicken Rice Noodle Bowls are packed with sweet and spicy chicken, vegetables and tender rice noodles. This is a thirty minute meal that will make you rethink your favorite take out! 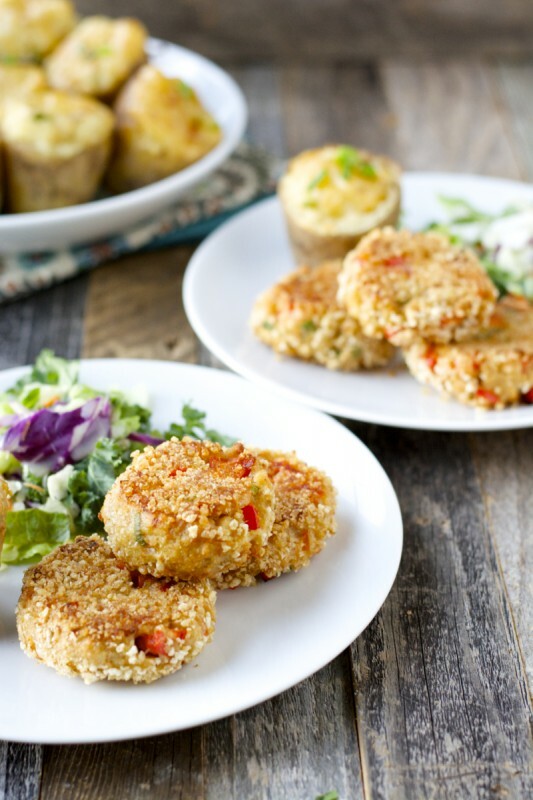 These Caesar Salmon Patties are perfect for busy weeknights! 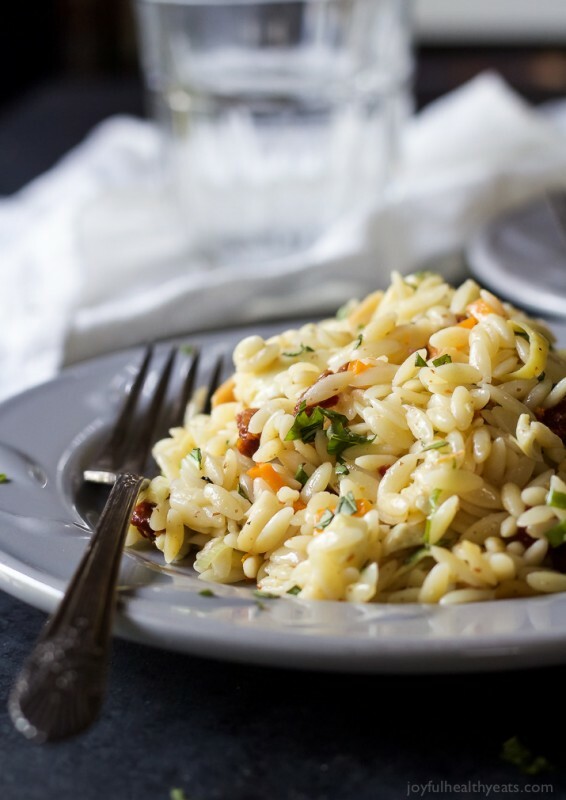 They contain just 7 simple ingredients and are packed with flavor. And as a big bonus they are baked not fried. 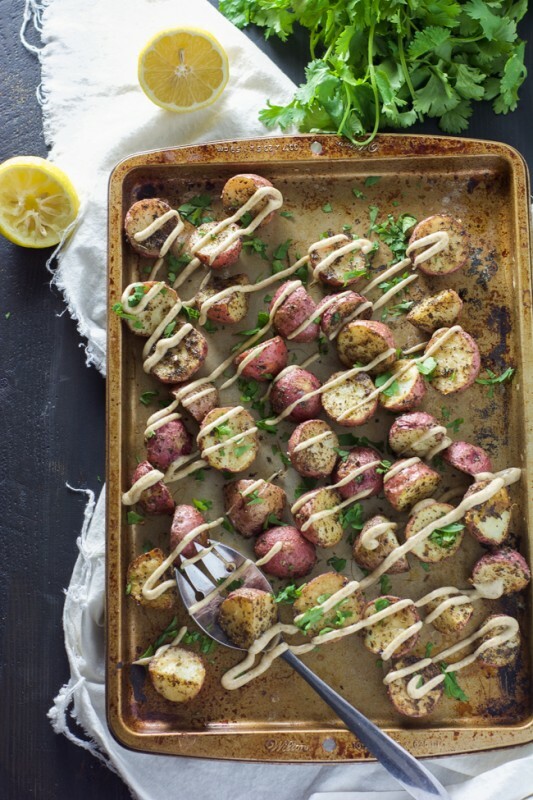 These Roasted Herb Potatoes with Garlic Cumin Ailoli are perfectly crisp on the outside while being fluffy on the inside! They pair wonderfully with the steak salad. 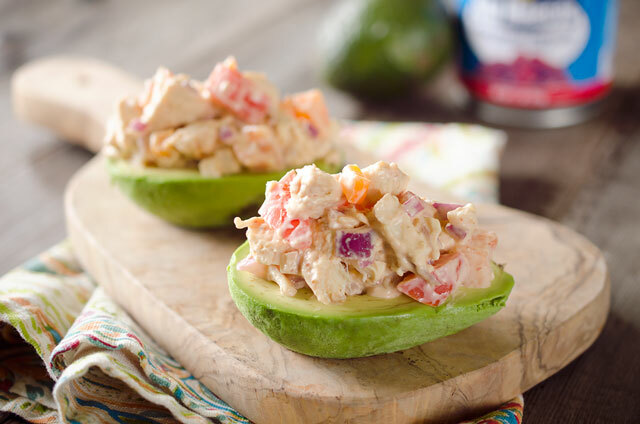 Chipotle Chicken Salad Stuffed Avocados are loaded with smokey chipotle flavor and super easy! 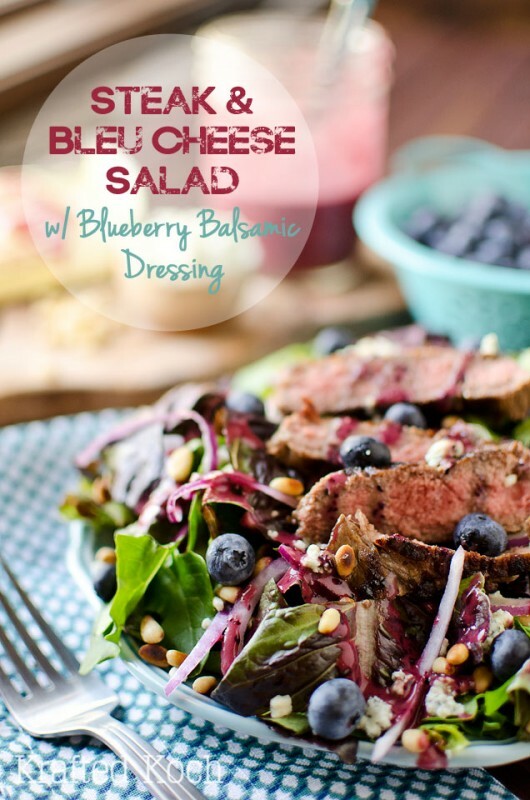 A great option for a light weekend lunch. 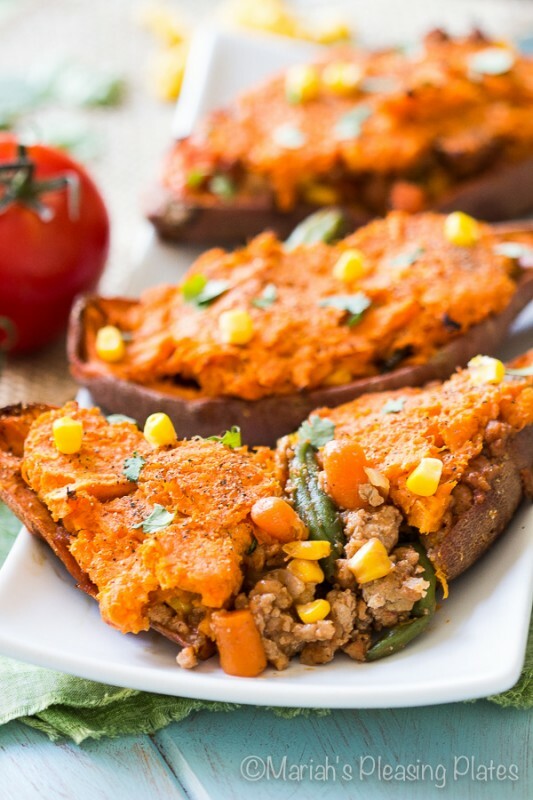 Try this Lightened Up Shepherd’s Pie for a comfort food that doesn’t pack on the calories. 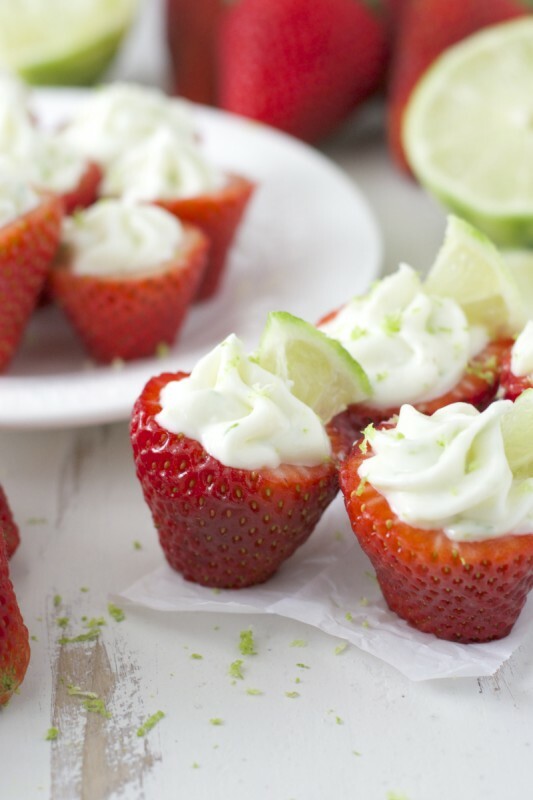 Enjoy two of Summer’s best flavors with these Key Lime Pie Stuffed Strawberries! These are very easy to prepare and a great way to satisfy your sweet tooth. Enjoy the flavors of Summer before they are gone! 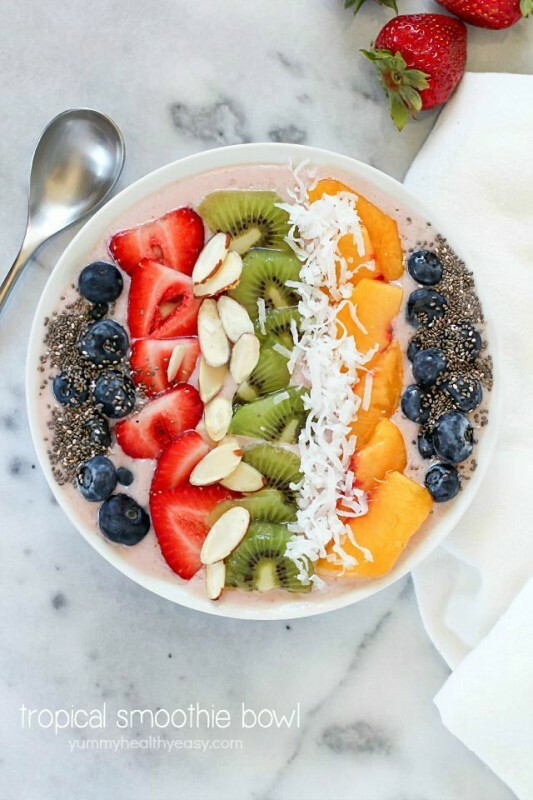 This Tropical Smoothie Bowl starts your day with a super filling dose of fruit. Don’t forget your snack! Sometimes you need a little pick me up! 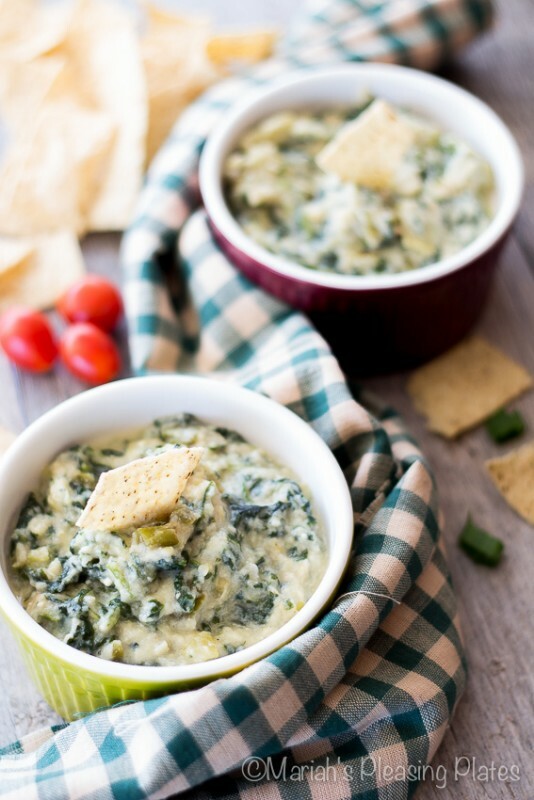 This Skinny Spinach and Artichoke Dip is everything you love about this familiar dip but in a lighter form. This is a snack you can feel good about!